This Gutenberg plugin is built by Organic Themes. The Organic Profile Block allows you to display personal or team profiles on any page of your website. It includes options to add a profile image, name, title, biography, and social media links. The social media options include icon links to personal profiles for Facebook, Twitter, Instagram, LinkedIn, and email. 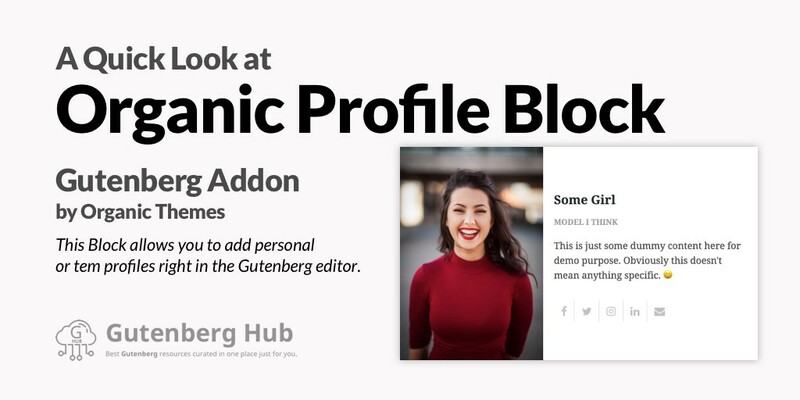 The profile block is an excellent solution for creating author profiles on posts, staff or employee pages, and testimonials. Looks good? Give it a try and pass your feedback to the plugin author so they can improve it further. You may use this to build a team page also.